March is fraud prevention month, and what does fraud have to do with saving money? Well…everything. If I can vaguely remember from business law class in university, fraud is the act of deliberate deception for financial or personal gain. I am paraphrasing, but you get the idea. I don’t claim to be a fraud expert and by no means am I providing any legal or professional advice. All information should be verified. Below are two fraud examples that have gained popularity in recent years. Also, knows as the ‘phishing scam,’ internet scammers create a fake email message or entire website that appears to look like a legitimate business in hopes of getting users to part with their personal information. Daglo Oil & Gas is a recent scam that targeted Albertans at the start of the drop in the price of oil and gas in mid 2014 to early 2015. As a fellow Albertan, I took an interest in this story. With a mineral dependent economy like Alberta, the drop on oil and gas prices saw the loss of thousands of jobs in a relatively short period. Daglo Oil and Gas, posed as a legitimate oil and gas company seeking field and corporate employees for jobs across the country and overseas. The website appeared believable with a corporate history, biography of executive team, office location and other information. The fictitious company offered potential employees lucrative job offers oversees with minimal screening. Most correspondence was done through email or the company’s site. In order to be hired, the company required the ‘employee’ to cover their own costs for air fare, visa applications etc. Those that provided their personal information to complete the screening process were scammed of their money. Luckily, the site was discovered and has since been shut down. However, many fraudsters will prey on the vulnerability of their victims at a time when they are most susceptible. 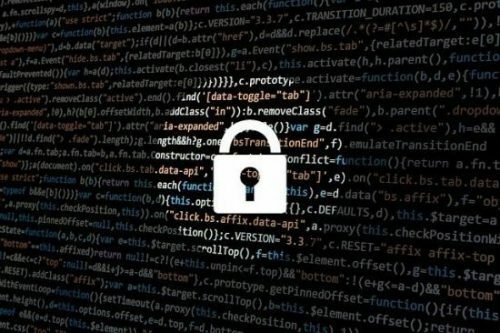 Some ways to minimize the risk of becoming a victim to a phishing scam include: never provide advanced payment for any good or service without first knowing who is on the receiving end of the transaction and getting the terms in writing. Be skeptical if you receive a company email from a private address like @gmail.com or @hotmail.com. Avoid opening emails or attachments from addresses you don’t recognize. If it sounds too good to be true, it probably is. Search reviews online about the website to see if other people have been scammed by the site in the past. Check to make sure the closed padlock and ‘https’ symbol appears on all secured sites. Most people dread tax time, unless they are expecting a refund. Scammers use both the excitement of receiving a tax refund and the dread of owing back taxes to lure victims into parting with their money. From phone calls to emails, scammers use different avenues to get you to provide your personal information. Since a tax return can be reassessed at any time, this scam does not need to occur at tax time. Scammers may use a time other than tax time to approach victims and claim that a previous tax return has been reassessed and that they owe the government money or are entitled to a refund. For example, a scammer may call a victim and pretend they are an IRS or Canada Revenue Agency employee. The caller may inform the victim that a reassessment on their previous tax return has been completed and they are entitled to a refund. They may even provide some basic information like the tax payers full name and mailing address. The scammer may ask the victim to confirm other personal information like social insurance number, date of birth and provide other personal information like their banking details so the refund can be deposited to their account. A scam for back taxes owing may be like a refund scam, however, in most cases the scammer is more irate and may threatened the victim to provide personal/banking information or face going to jail or seizing of personal assets to settle the debt. Canada Revenue Agency (CRA) has tips on how to avoid a tax scam. They also provide information on what they will not ask a taxpayer in different circumstances and these include: request by email, personal information of any kind. Request information pertaining to a passport, health card or drivers licence. Provide taxpayers information unless formal authorization is provided, leave any personal information on their answering machine and more. Related: What is Your FICO Credit Score and How Is It Calculated? The best way to avoid tax scams is to hang up and phone Canada Revenue Agency directly using the number provided on CRA’s website. You should also create a MyCRA account which has all your tax information for multiple years including tax return assessments, re-assessments, and tax refund or amounts owing as well as any audits being done on you. Quickly checking your MyCRA online account also avoids long wait times to speak with a representative over the phone. Review your credit and debit statements monthly to make sure transactions are legitimate. Most financial institutions have a time limit for disputing wrongful charges. Pulling a credit report on yourself does not cost you any money and does not affect your credit score. If you want the credit report for free, you will need to fill out a form from Equifax or TransUnion and you will receive your credit report in the mail in 4 weeks. With the advancement of technology fraudulent activity is reaching a large number of people and is getting more sophisticated. 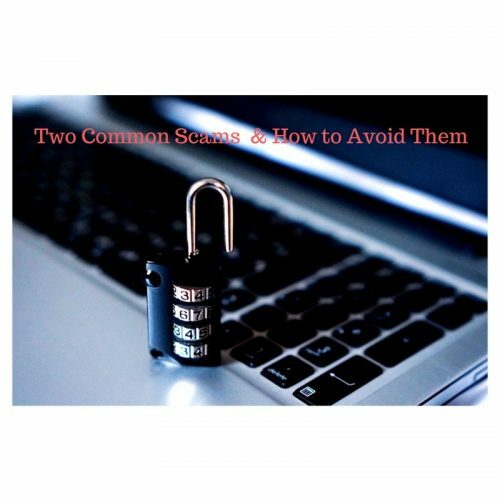 Even so, we can still try and safe guard our personal/financial assets by taking the necessary steps to learn more about different types of frauds and scams.